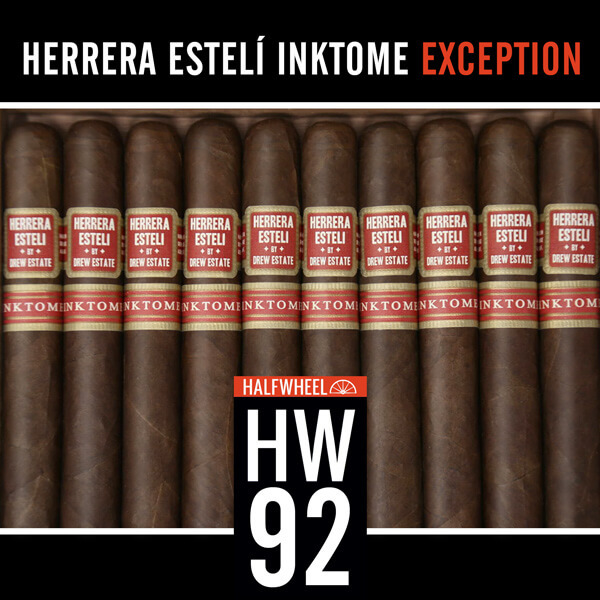 The Herrera Estelí Inktome Exception has been honored with a 92 rating from Halfwheel.com! 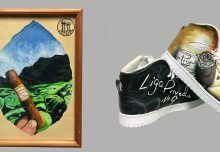 In 2016, the initial release of the Herrera Esteli Inktome received much fanfare utilizing a higher priming darker Ecuador Habano wrapper. After blending the initial Herrera Esteli Inktome, Master Blender Willy Herrera continued to experiment at La Gran Fabrica with different presses and how the smoke hits the palate to provide a nuanced experience. The Inktome series celebrates the histories of both Maxamar Ultimate Cigars and its online counterpart, Small Batch Cigar. 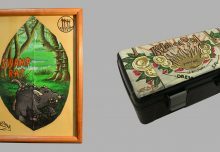 In 1998, Maxamar opened using funds from the sale of Inktome stock, and the release of Herrera Esteli Inktome Exception celebrates the 5th year anniversary of Small Batch Cigar. The Herrera Esteli Inktome Exception is the second release of the Herrera Esteli Inktome, with a stronger press used to differentiate the cigar from the first release. 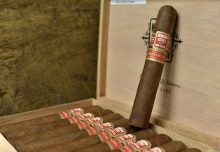 The box pressed dark Ecuadorian Habano wrapped cigar provides a nuanced smoking experience in the Herrera Esteli brand by Willy Herrera because of its darker wrapper leaf selection. 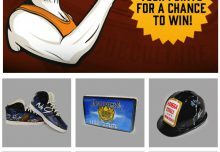 This is a tremendous honor for Drew Estate, thank you Halfwheel!